In the technologically advanced world, we might be aware of and even use several technological terms in our discussions but if asked, we may not be in a position to explain what they really mean. For instance, what do you mean by the term backconnect proxy? I guess you might know what a proxy is but the addition of the word backconnect may be confusing. 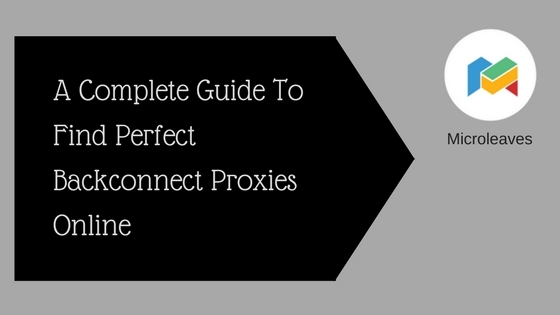 In order to know what a backconnect proxy is, it might be helpful to first understand what a normal proxy is and how it works. 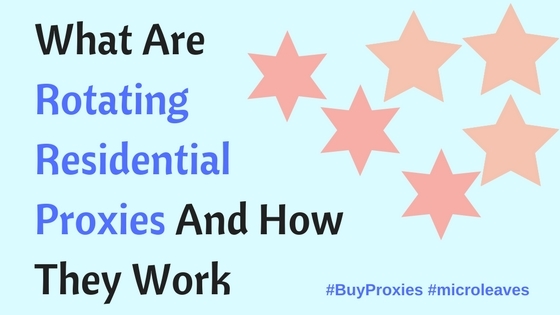 A standard or normal proxy is the default form from which all the other types of proxies, including the subject of this post, are derived. It is extremely simple fundamentally but offers a variety of possible configurations. A proxy is a server that sits between you and the website you are seeking to reach. To connect to a particular website, you first send a request from the browser in your device. Such request then goes out via your router and modem, to a street-level router, to an area router, to an Internet Service Provider server, to internet backbone, and then in a reverse down to the situation of the server you are connecting to. In most cases, however, you request does not have to go the lengthy process as it goes directly to Internet Backbone. This prevents latency. The proxy server is somewhere in between and in most cases physically located in a far off country. Most people believe a proxy server to be a giant, high-powered hardware that is complex and overwhelming. Well, complex it may be but any computer, with the right configuration, can become a proxy server but this may add to latency. When you send a request, the connection leaves your device and passes through routers until it reaches the proxy server. The proxy then strips off any identifying data from your request and fills the request with its own – sometimes it does not. The proxy again sends the altered request through additional routers. The web server replies the request based on the altered data back to the proxy, which then sends it to you. As you might know, this adds latency to your connection. However, the real benefit is on your privacy. The proxy strips or deletes any identifying data that might be present in your request meaning the website you are accessing does not see where the connection is coming from. Thus proxy servers offer three levels of anonymity – anonymous, distortion and transparent. Anonymous removes as much identifying data as much as possible while distortion removes some data and replaces it with others. What Is A Backconnect Proxy? How Does It Work? A backconnect proxy is the same mechanism as the standard proxy. It allows the same configurations, benefits as well as drawbacks in most cases. The difference is in the proxy server itself, or more precisely, the network. A backconnect proxy server features a collection of different machines featuring different configurations. It is possible to have a pool of from as low as 20 machines or as many as 50,000 machines. The number of machines is essentially the choice of the backconnect owner. The main function of a backconnect proxy server is to alter your referrer data and IP just as a normal proxy server does. The standard proxy changes from A to B in which each connection will come out as B. using rotating list of proxies does not help either. For instance, it might be B for about 15 minutes, then X of another 15 minutes and then Y for another 15 minutes. Malicious people can monitor these patterns, footprints, and cycles to find out what is going on. Backconnect proxy eliminates this problem. With such proxy swarms, every connection you send out, the proxy connection changes. For example, if you type in www.google.com you will get proxy connection X returning Google homepage. If you type in a query, connection Y sends it out and connection Z brings it back. If you click on a result, connection A sends it out and connection B brings back the data page. Do you get the essence of backconnect proxy? In simple terms, connections change with each action you take. 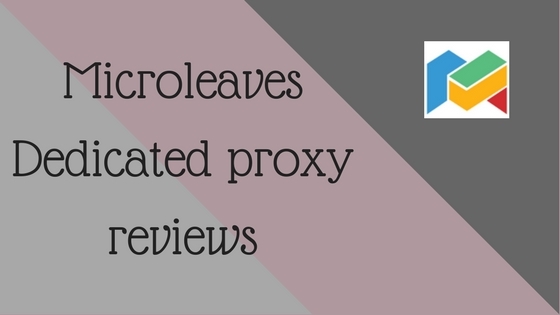 Some backconnect proxy provides such as Microleaves boast of having a database of hundreds of thousands of available proxies with several thousand available each given day. The enable you to pretend to be in a particular geographical location, filter out the connections you do not want to be seen and support a variety of protocols including HTTPS or SOCKS 4/5. An important advantage is that backconnect proxy allows you to make more requests per minute that possible with standard connections. Certain websites will put a captcha on actions involved if they see too many connections coming from a particular server. A good example of such website is Google. The beauty with backconnect is that you can use a piece of software such as GScraper, Xrumer, Zenno Poster, Scrape box, or GSA Ranker without worrying about their rate limits. 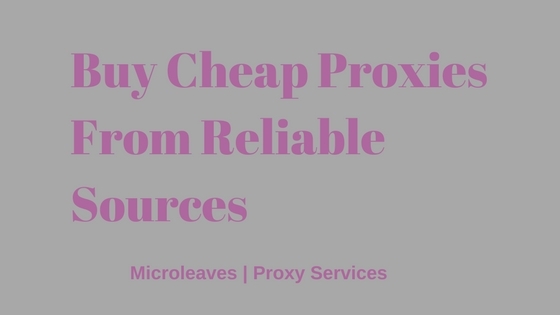 The fact that backconnect proxies are a swarm of hundreds or even thousands of different connections predisposes it to two problems – expense and the varying quality of individual connections. 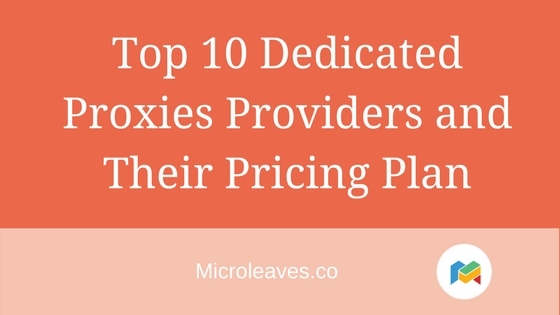 A large number of lists makes it extremely costly to get access to them. In terms of quality, certain connections will be fast, others may be slow and yet more may be banned by the website you are trying to access. Your ability to control them is very limited. 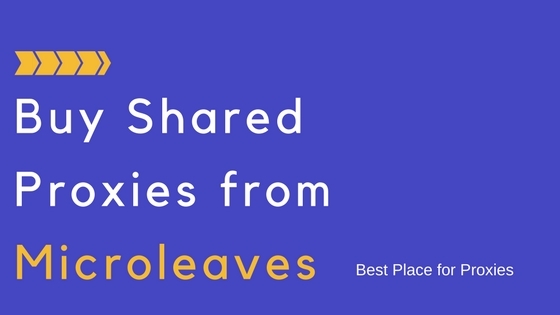 Microleaves is potentially the web’s largest proxy network with a pool of up to 20 million IPs allowing you to enjoy optimal anonymity and privacy. The company offers affordable ways of enjoying the services of backconnect proxy and ensuring you get zero blocked websites. The company features a great performance making it a great choice if you are looking for backconnect proxy services. 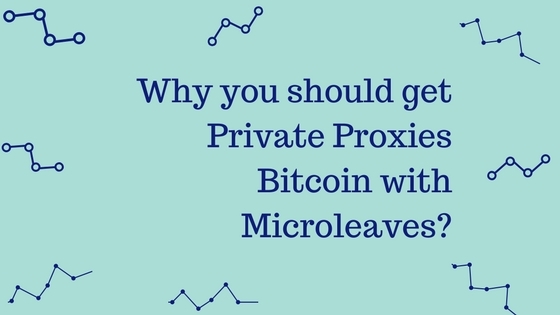 You can get additional information on Backconnect proxy and other types of proxy networks by visiting Microleaves official website.